If you’ve ever enjoyed NetEnt’s weird and wacky diamond-themed slot, Starburst (don’t attempt after a heavy night out, let’s just put it like that) you might want to go on the hunt for some other examples of diamond-themed slots. Luckily there are plenty out there if you look hard enough. 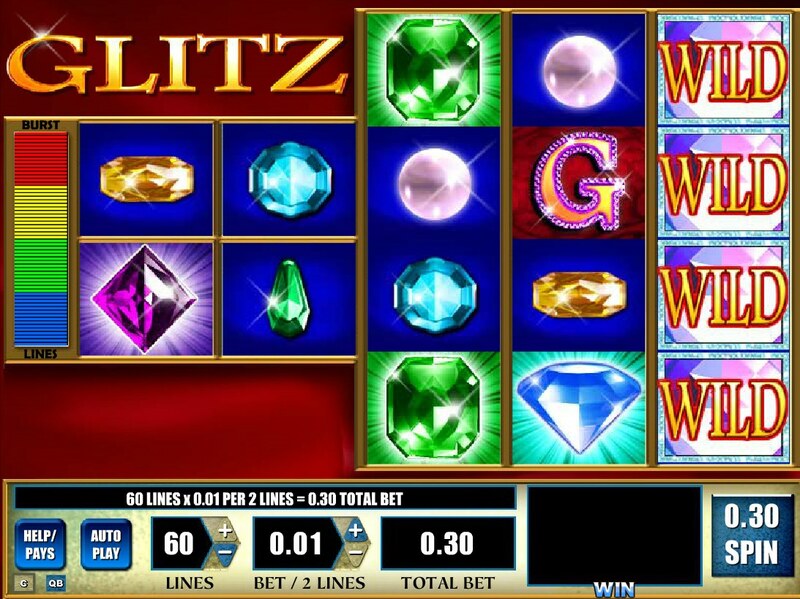 WMS – slot developer behind the hugely popular Wizard of Oz series of slots including the highly acclaimed Wizard of Oz: Wicked Riches – have chucked their hat in the ring with Glitz, a game dedicated to all things bling. You want rubies, sapphires, emeralds and diamonds? That’s lucky – there are plenty here. You want gold coins too? Go on, then, we’ll chuck those in as well. So far, so dazzling. But wait – just as Starburst whacked up the weird factor, WMS have gone one better – the reels are specially arranged on Glitz to offer gamblers a unique way of winning. Instead of the same old 5 reel set-up, there are just two rows in the first two reels on this game. Your wins are then based on what appears on the remaining regular three reels. Your bets are also split over the two lines of the first two reels, meaning you could end up betting up to $90 per spin, but with tonnes more ways to win. 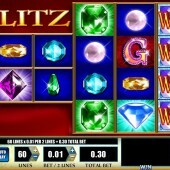 Free spins are the way to win big bucks in Glitz, and they can be triggered in a number of ways. First, simply match four symbols on the spaces on reels 1 and 2 and you’ll be awarded five free spins. Three gold coin symbols on reels 3, 4, and 5, meanwhile, will also award you five free spins. You’ll be presented with a few jewellery boxes and it’s your job to pick one. The chosen box will reveal a symbol that will lock in place on reels 1 and 2. Finally, if you hit four matching symbols on reels 1 and 2 and three bonus symbols on reels 3, 4 and 5 you’ll win 20 free spins. Again, you’ll have to pick a special jewellery box to reveal the special locking bonus symbol. It will then substitute what’s already on reels 1 and 2 if it’s a better symbol. If something a little different is what you’re after, then Glitz could be for you. It’s a little tougher on the wallet, simply because of the split pay-lines, but if you can ride out the crazy luck involved hitting the free spins, there could be fun to be had.